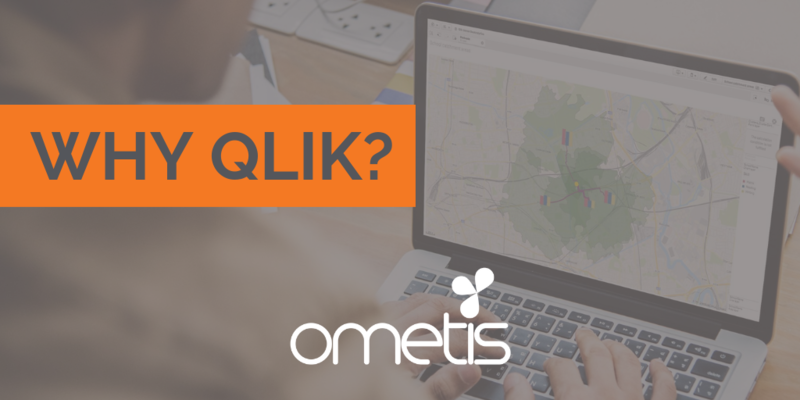 Ometis are the largest dedicated Qlik providers in the UK for one simple reason – we believe it’s the best business intelligence platform on the market today. Why Qlik? Because it’s end-to-end data management analytics platform is built with the end-user in mind and is transforming how businesses work across the globe, and here’s how. QlikView and Qlik Sense are the only business intelligence tools that allow for open-ended, curiosity driven exploration and provides everyone – no matter what their skillset – the ability to make data discoveries that lead to business transformation. In short, it empowers everyone in an organisation to make more informed decisions. Thanks to Qlik, businesses move faster, work smarter and continuously unlock innovation by understanding their business data. We’ve been in the world of business intelligence for a long time and watched it evolve dramatically over the years. Initially, BI was only available to experts with the ability to deliver static, content-heavy reports. In recent years there’s been a change, driven largely by the innovative Qlik platform. Today, business users have the power to freely explore their data but unfortunately analytics are still separate from most of an organisation. That’s where Qlik shines. It’s enabling truly data-driven enterprise on a mass scale thanks to its intuitive design which enables users to transform their business through data. One of the factors why Qlik is the only BI platform we use is down to their approach to business intelligence, which is based on three key strategies to empower users. Qlik believes that all your business data should be accessible to all your people. They democratise data access with a solution that takes all your business data, from any source, and processes it from raw to analytics-ready swiftly and efficiently. Qlik offers data literacy for your entire workforce with the help from machines. Qlik combines unique associative technology with cognitive AI to drive powerful collaborations between humans and machines. Qlik provides analytics in every facet of your organisation, wherever people work. Qlik is a robust data analytics platform with all the APIs needed to address any use-case and analytics in any app or process. When you’re using data to transform, you need the expertise of your entire workforce – and that means enabling everyone to freely explore their data. Unfortunately, most query-based tools limit non-technical users to single lines of questioning, based on partial subsets of data. This blocks free exploration and puts the brakes on discovery. Qlik does things differently. At the heart of the platform is a one-of-a-kind, high-performance Associative Engine, built from the ground up for interactive, free-form exploration and analysis. With Qlik, users of all skill levels can easily search and explore in context, across multiple datasets, in any direction. By revealing both related and unrelated data, Qlik’s associative engine helps users discover hidden insights that would be missed with query-based tools. Qlik is on a mission to create a data-literate world, and that’s something we wholeheartedly support. Together, we believe everyone can use data to solve their most challenging problems. Only Qlik’s end-to-end data management and analytics platform brings together all of an organisation’s data from any source, enabling people at any skill level to use their curiosity and uncover new insights. We’re privileged to be able to see, first-hand, how Qlik’s business intelligence platform is helping organisations better understand customer behaviours, reinvent business processes, discover new revenue streams and balance risk against reward. That’s why Qlik is the only BI tool we use. If you would like to find out more about Qlik and how it can help unlock the power of your business data, get in touch today for a free demo. You can also stay up-to-date with all the latest Qlik news and advice, as well as handy how-to guides, by following Ometis on Twitter, LinkedIn and subscribing to our YouTube channel.